I’m not the world’s greatest cook by any means. And I usually leave the crazy experimenting to other folks, and just try their recipes once they perfect them. I let others take the risks and I just enjoy their yummy successes. But a few days ago, I decided to just go nuts and try something totally off the wall with my LIBBY’S 100% Pure Pumpkin. 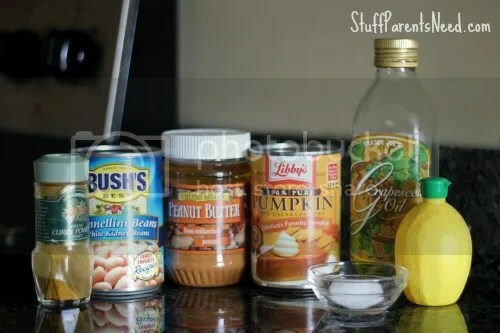 You may recall that I’ve been on a kick lately to try to see just what #PumpkinCan do as a more regular part of our diet, as opposed to a seasonal guest star. We’ve made some crazy-good stuff, including pumpkin energy boost squares and twice-baked potatoes with pumpkin. They are both great and you should definitely pin them on Pinterest so you remember to try them later! My latest recipe was, in my humble opinion, a major success, and I’m so excited to share it with you. If you like curry and if you like hummus, then this is going to be a new favorite snack for you. 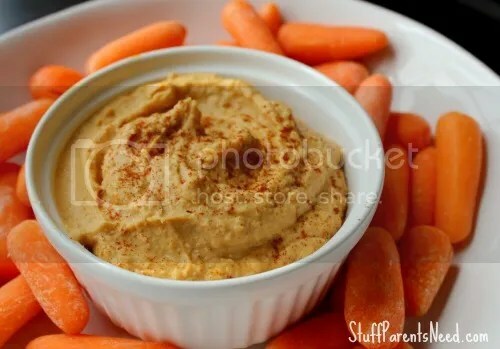 The inspiration of the dip is definitely hummus, but there’s not a chickpea to be found in it! 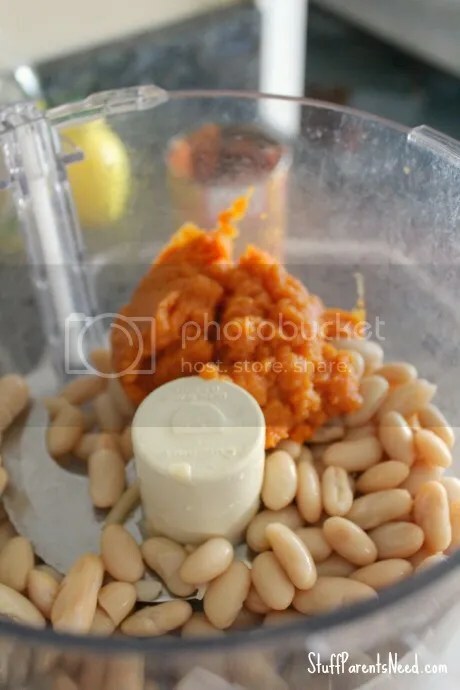 Combine cannelloni beans and pumpkin in a food processor using a few quick pulses. Then add all remaining ingredients except for water. Let them process together in the food processor until very smooth. If you feel that the dip needs more moisture, add the water, 1 Tbsp at a time. Serve immediately with a sprinkle of paprika on top (optional). This goes great with raw veggies or with crackers or pita. Also tastes great when served chilled.